Red velvet is a cake that is close to my heart, not so because it is a cake, but because it is a rich royal cake, oozing with the soft cream cheese filling – a delight to our taste buds. Whether served as a whole cake or as cupcakes with tea or at a party, or even as a gift, this cake is a hot through and through. The rich red color of the soft and moist sponge compliments the cream colored frosting so well, that everyone from child to adult is attracted to it and want a share. Here I share with you the recipe that gives you the moistest and tastiest red velvet cake that you have ever eaten. Every bite bringing you closer to cake heaven. Mmmmm.. I can almost taste it. 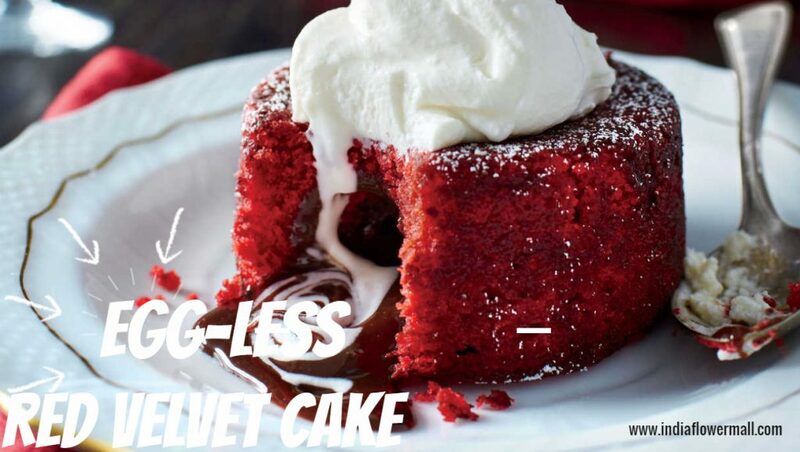 I have used red color in the recipe but it works equally well with about strained beetroot puree – I do use it to get my kids to eat beetroot and off course anything for a healthier cake. Set the oven to 350F and preheat for 15 minutes. Grease and dust a 9” baking tin. Mix and sieve all the dry ingredients in a bowl. In another bowl, mix all the wet ingredients. All the food coloring too. Pour the wet ingredients into the dry ingredients and fold until there are no lumps remaining and the mixture is well mixed. Pour the mixture into the baking tin and bake for about 25 to 30 minutes or until an inserted toothpick comes out clean. Decorate as desired with cream cheese or even buttercream. Chill for about half an hour before serving. Cut into slices and enjoy this scrumptilicious cake. You can also use mousse and mixed fruit as a filling if you want to cake that is lighter on the stomach. NB: Make sure the cake is cooled completely before you cut it. This cake also makes an ideal gift during festive seasons and if you want to send cake to India, then this handmade homemade cake is the perfect gift. Next Next post: This Winter, Blossom Your Life with Breathtaking Winter Flower Gifts!